Raúl Francisco Martínez-Malo Jr. (born 7 August 1965, Miami, Florida), known professionally as Raúl Malo, is an American singer, songwriter, guitarist and record producer. He was the lead singer of country music band The Mavericks and the co-writer of many of their singles, as well as Rick Trevino's 2003 single "In My Dreams". Since the disbanding of the Mavericks in the early 2000s, Malo has pursued a solo career. 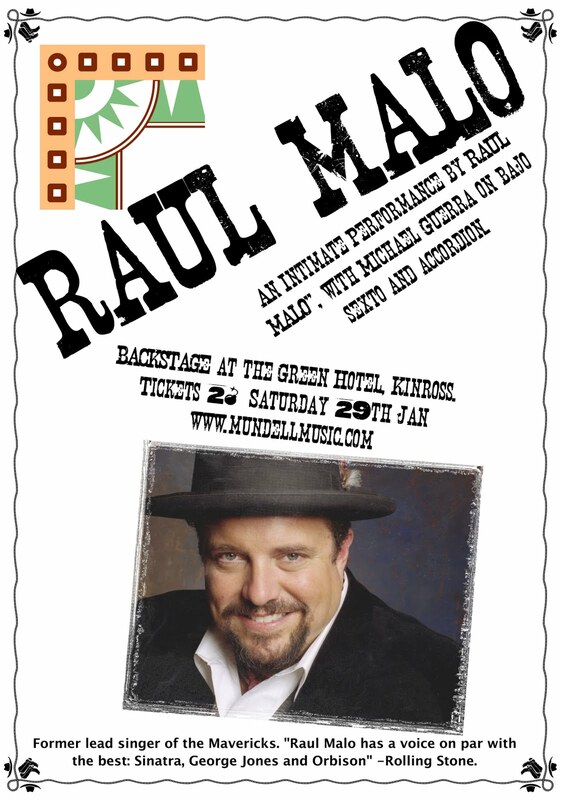 On Saturday 29th January he will be at 'Backstage' at the Green Hotel, Kinross. This is a rare opportunity to catch such a high profile Artist in an intimate setting. 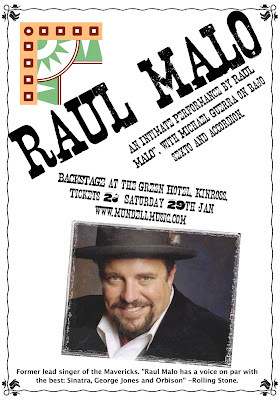 A rare and intimate evening with Raul Malo with Michael Guerra on bajo sexto and accordion. For other Mundell Music Gigs please see the website. Kast Off Kinks Kome Too Kinross! Nell Bryden & Raul Malo Sell out Backstage! Business has to break the rules!